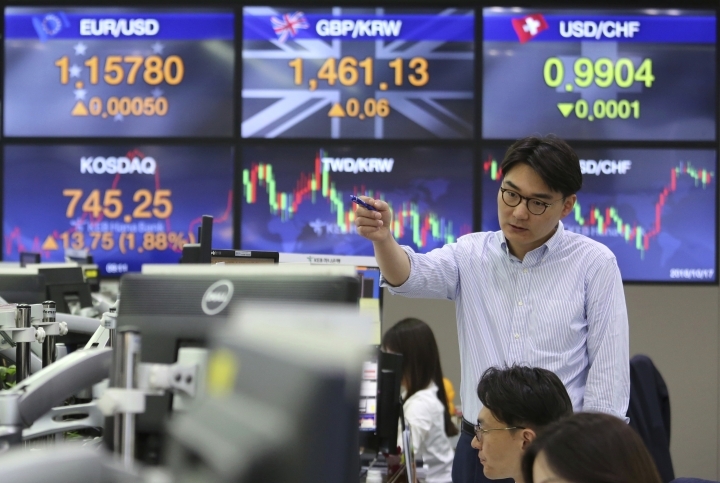 SINGAPORE — Asian markets rose on Wednesday as robust U.S. corporate earnings and encouraging data assuaged worries about softening global growth. KEEPING SCORE: Japan's benchmark Nikkei 225 jumped 1.3 percent to 22,842.12. 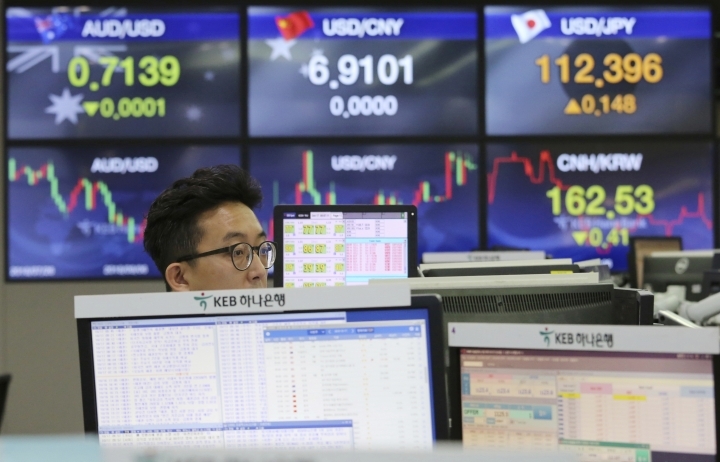 The Kospi in South Korea advanced 1.1 percent to 2,169.20. The Shanghai Composite rose 0.1 percent to 2,548.88. Australia's S&P/ASX 200 gained 1.2 percent to 5,938.67. Shares rose in Taiwan, Indonesia and Singapore. Markets in Hong Kong were closed for a holiday. WALL STREET: U.S. stocks bounced back from a series of losses, racking up their biggest gain in six months on Tuesday. The S&P 500 index rallied 2.1 percent, its largest jump since March 26, to 2,809.92. But the index was still 4.1 percent lower than its record high in late September. The Dow Jones Industrial Average advanced 2.2 percent to 25,298.42, and the Nasdaq composite gained 2.9 percent to 7,645.49. The Russell 2000 index of smaller-company stocks climbed 2.8 percent to 1,596.84. U.S. EARNINGS: Major financial and health care companies reported strong profits for the third quarter on Tuesday, surpassing market expectations. UnitedHealth, the country's biggest health insurer, exceeded analyst's projections for the quarter and raised its projections for the year. Its stock climbed 4.7 percent to $272.57. Investment banks Morgan Stanley and Goldman Sachs did well too, sending their shares on a rally. Sentiment was also lifted by encouraging data. The Labor Department said U.S. employers posted the most jobs in two decades and hiring was at a record high. The Federal Reserve reported that output by U.S. factories, mines and utilities rose in September despite Hurricane Florence. But an industrial production report that suggested inflation held steady convinced investors that Fed will not pick up the pace of interest rate hikes, analysts said. 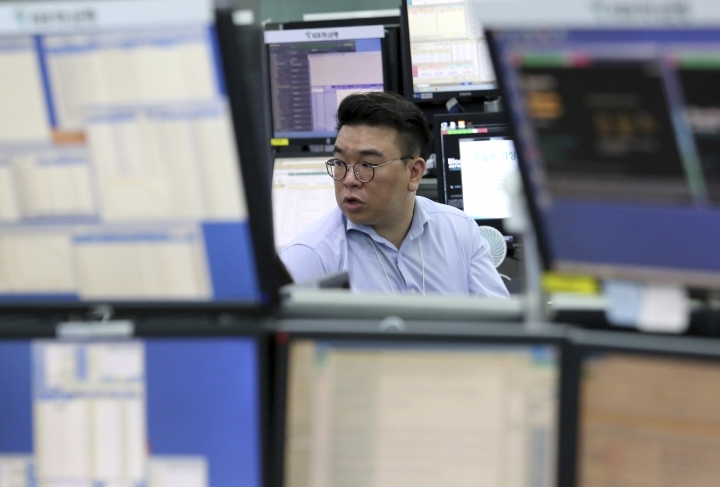 ANALYST'S TAKE: "Asia Pacific markets have kickstarted the day in synchronized gains owing to the relief in the U.S., sustaining the trend in taking after overnight leads," Jingyi Pan of IG said in a commentary. UBER IPO: According to a media report, Uber has received proposals from investment banks Morgan Stanley and Goldman Sachs that valued the ride hailing company at as much as $120 billion. The Wall Street Journal said Uber may launch an initial public offering early next year, citing people familiar with the matter. Apart from scandals including workplace harassment, Uber faces intensifying competition and sold its Southeast Asian operations to rival Grab in March. ENERGY: U.S. benchmark crude added 11 cents to $72.03 a barrel. The contract gained 0.2 percent to close at $71.92 per barrel in New York. Brent crude, the international standard, rose 8 cents to $81.49 a barrel. It added 0.8 percent to $81.41 per barrel in London. CURRENCIES: The dollar strengthened to 112.39 yen from 112.28 yen late Tuesday. The euro fell to $1.1563 from $1.1575.